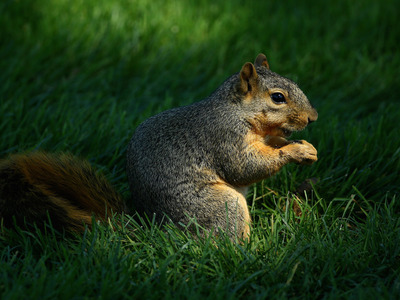 Squirrels and their partners in crime cause about 10-20% of all power outages, according to The Washington Post. Squirrel-induced power outages tend to be more localised and more quickly fixed than those caused by storms, since one little rodent can only chew so much. But they’re still a real issue. Each one can affect as many as 13,000 people at a time, and in 2015, squirrel blackouts cost Montana alone $11 million.